If it looks like the world drops away at the edge of this picture – that’s because it does. 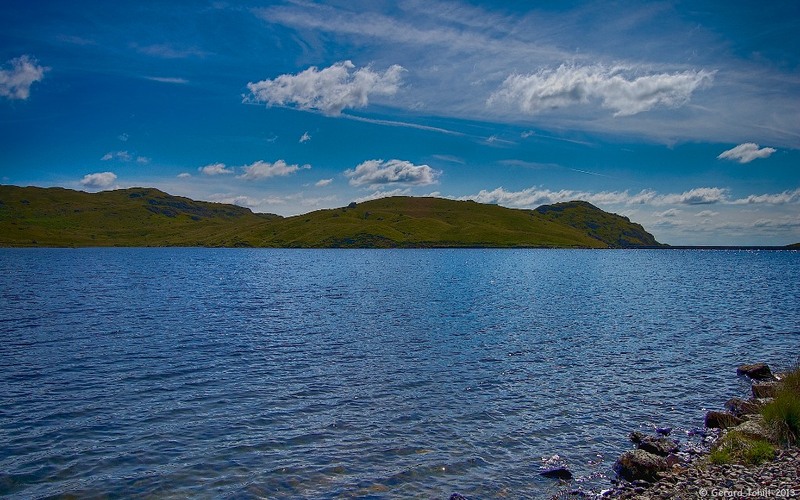 This is Stickle Tarn, looking tropically blue under an almost impossibly blue sky. Just over the moraine, it’s over 1000 feet (350m) to the floor of Great Langdale (and the Old Dungeon Ghyll Inn) below. Thank you. It was one of those great days when the sky really was a deep blue.